With snow frosting the ground and the holiday season chiming with cheer, it’s beginning to look a lot like Christmas in Cadillac! This time of year, decorating with fresh winter greenery and seasonal décor items is a wonderful way to brighten up both the interior and exterior of your home for holidays, making it merry and festive for hosting friends and family. One fun way to kick off celebrating the Christmas season here in Cadillac is with a local tradition showcasing beautiful homes in our area—and highlighting the creative local people who decorate and design them for the holidays.  Sponsored by the Cadillac Garden Club, the Holiday Home Tour will be open to the public from 10am to 3pm on Saturday, December 1. Now in its 18th year, this special event is a favorite of the Cadillac community. “This is our first holiday home tour,” said homeowner Susan Martz. She and her husband Larry—who, together, also own Oak Heirlooms, a local furniture business and Amish-made furniture retailer—built their dream home in Cadillac last year. At this Holiday Home Tour event, a favorite of the Cadillac community, four area homes open their doors to the public for a look inside the beautifully decorated spaces for the holidays. 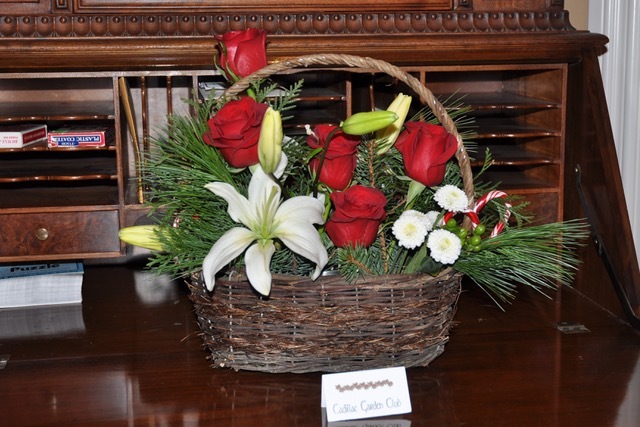 Visitors are welcome to “enjoy the sights, sounds, smells, and tastes of the season” with free refreshments provided. Seeing the flowers, decorations, and community connection will warm your heart—even if the Northern Michigan weather outside is frightful. These homes are so delightful! What better way to get in the Christmas spirit than to join in the celebration with a location tradition honoring spectacular homes in the Cadillac area. 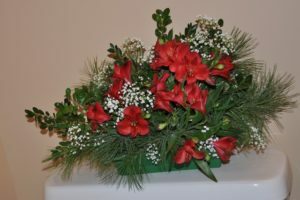 The Holiday Home Tour explores each of four local homes decorated for the holidays by their wonderful homeowners and by the talented members of the Garden Club. “I will be as excited as anyone to see the creations they bring into our home,” Susan said, “but the most special one is an oversized wreath made from grapevine from our previous home.” For many, Christmas decorations hold a sense of nostalgia, and with each holiday season we’re reminded of what makes us grateful as we reminisce on good times shared with loved ones. “I love that my husband and I share the same vision for our new home,” said Susan. She and Larry are looking forward to celebrating Christmas in their new homes alongside the company of their family and friends. “Because of the enthusiasm of the Garden Club, I am thoroughly enjoying the holidays this year!” she said. The home of Donna and Steve Willis is also being decked out for the holidays this snowy season with help from the Cadillac Garden Club’s dedicated volunteers. Other homes on the tour route this year include feature two located on Holly Road, including Joe Baumann’s house and the home of Mark Wycoff and Leslie Hoover. So don your gay apparel (maybe an ugly Christmas sweater), put your holiday music playlist on shuffle, and get your tickets now for the 18th Annual Holiday Home Tour in Cadillac coming up Saturday, December 1. Tickets (with maps on them) are $15 in advance or $20 the day of the tour and can be purchased in person at Brinks Art and Framing (located at 112 S. Mitchell St. in Cadillac), by calling 231-510-9047, or online at MyNorthTickets.com. 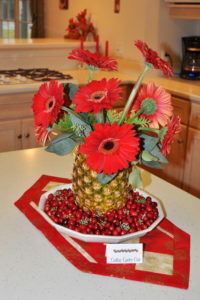 Photos from previous years of the Holiday Home Tour courtesy of Vickie Essenmacher of the Cadillac Garden Club.